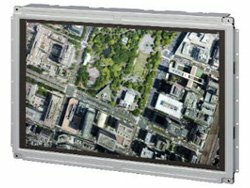 Toshiba has developed a 21-inch autostereoscopic high-definition display for use in next-generation 3D monitors that enables the user to enjoy three-dimensional images without the need for special glasses. 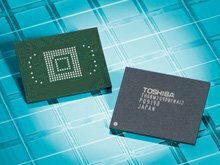 Toshiba announced the launch of a 64 GB embedded NAND flash memory module, the highest capacity yet achieved in the industry. The new device combines sixteen 32Gbit (equal to 4GB) NAND chips fabricated with Toshiba’s 32nm process technology, and also integrates a dedicated controller. As Japan approaches the end of analogue broadcasting in 2011, the digital TV market has entered a period of diversifying customer needs. “In order to meet demand for more vivid reproduction of high contrast, high definition images, simultaneous viewing and recording of multiple programs, along with access to broadband content,” as they say, Toshiba just unveiled newly developed CELL REGZA TV and the CELL Platform. CELL REGZA 55X1 is the new flagship of the company’s REGZA line-up and will be available in the Japanese market from the beginning of December. Toshiba announced that the company has applied for membership of the Blu-ray Disc Association (BDA) and plans to introduce products that support the Blu-ray format. The rush to release the first Terabyte SSD continues with Toshiba’s announcement of a 2.5-inch 512GB NAND-based model. Market analysts expect SSDs will account for 10 per cent of the market for notebook computer storage by 2010, and 25 per cent by 2012. Toshiba’s Strata CIX family of IP business communication systems has been named winner of Network Products Guide’s Best Products and Services Award in the 2008 VoIP category. The annual award by the Silicon Valley publication on technologies and solutions, honors products and services that represent the rapidly changing needs and interests of the end-users of technology worldwide. Volume production of China’s self-developed high-definition optical disc format – China Blue High-definition Disc (CBHD) – is to begin in the fourth quarter of 2008. Shanghai United Optical Disc has completed its first production line and its output is initially expected to sell only in the Chinese market. Onkyo, the A/V manufacturer that backed the high def DVD format and sold around 2,000 players, is to launch its first BD player later this year. The company had flagged up its intention to let bygones be bygones and join the other “side” shortly after Toshiba announced that it would concede the format war last February. It discontinued production of its HD DVD players, while assuring existing customers they would continue to receive full product support and service. A company statement also said it’s R&D team had “maintained a parallel development programme for the competing Blu-ray technology”. Japan’s Matsushita is aiming to mass-produce 37-inch OLED televisions within three years in a move that could ignite the OLED market. The Japanese trade daily, Sankei Shimbun, reports that the electronics giant – the parent of better-known sub-brand Panasonic – is putting the finishing touches on plans to mass-produce 37-inch OLED televisions within three years. If the plans bear out, it would make Matsushita the first manufacturer producing OLED televisions over 30 inches in size, and could enable Matsushita to challenge Samsung for the top spot in the flat-screen television market.